This product is available at Amazon.com, Halloweenexpress, eBay. At amazon.com you can purchase Rubie's Costume Co Slipknot Craig Full Mask, Multi, One Size for only $41.06, which is 53% less than the cost in Halloweenexpress ($87.97). 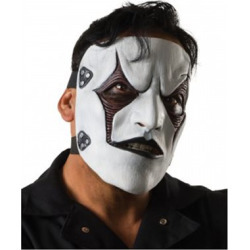 The lowest price of Slipknot Craig Mask was obtained on November 16, 2018 12:43 am.